Magee was founded on handwoven tweed over 150 years ago. This hardwearing, coarse fabric was handwoven in Donegal by part-time fishermen/farmers and part-time weavers in the late 1800’s/early 1900’s. It was an ideal fabric for dissipating the damp and cold weather, so often found in North-west Ireland. Handweaving is a skill that has been passed down through the generations. It is suggested that the art of weaving dates back to the Palaeolithic era, although there is little evidence to support this, however woven linen cloth has been found dating back to the Neolithic period. While there may be a few thousand years in the debate as to when weaving was first developed, we know for a fact it is a reassuringly ancient skill and craft! 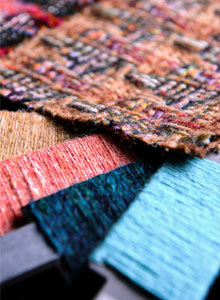 Donegal handwoven tweed is distinctive with its bright flecks of colour woven through each piece. Heather purples, grass greens, fuchsia pinks, gorse yellows, sea blues and earthy browns to name but a few colours found in this unique fabric. Fast forward to 2018, we still design and produce a unique handwoven fabric – while we retain similar, timeless designs – namely the herringbone – inspired by fish-bones and the 'true Donegal tweed' – the salt & pepper. We use the finest of yarns – lambswool, mohair and cashmere. Designs are sent to the weavers who work in their homes, the raw fabric is then sent back to the mill to be washed and finished. We wash the raw, oily fabric in the peaty waters of the River Eske, which flows by the mill, resulting in a beautifully soft finish. Magee introduced powerlooms in the 1970’s, allowing for better efficiency and the ability to create much more intricate designs in comparison to the handloom. Magee specialise in bright, colourful fabrics with intricate design detail. We split the tweed collection into three main elements. Celtic tweeds – a celebration of authentic Shetlands in both coating and jacketing weights. Noble fibres – the luxury and elegance of angora, alpaca and cashmere. 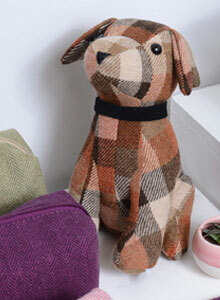 Fancy tweeds – a kaleidoscope of colour and weaves expressing our love of design and weaving. Robert Noble specialise in the finest of natural fibres, from 100% lambswool to intimate blends of wool and cashmere. 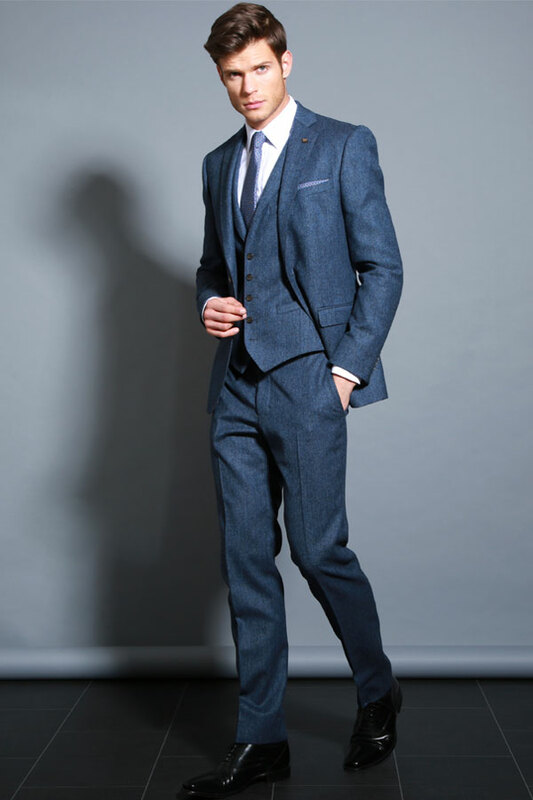 Lightweight wool/linen and silk mixes are ideal summer-weight fabrics for men. New this season – a lightweight Shetland base with a chunky boucle – a proper textured and fun tweed! Robert Noble also specialises in beautiful mid-season weights for jackets, suits and coatings.